Ethical Nutrients Hi-Strength Natural Vitamin E is a dietary supplement containing all eight forms of Vitamin E for superior health benefits. - Support a healthy heart and cardiovascular system. - Protect healthy body cells from free radical oxidative damage. and has more research on its health benefits than other sources): 70 mg. Ethical Nutrients Cholestrienol helps maintain normal cholesterol and triglyceride levels. 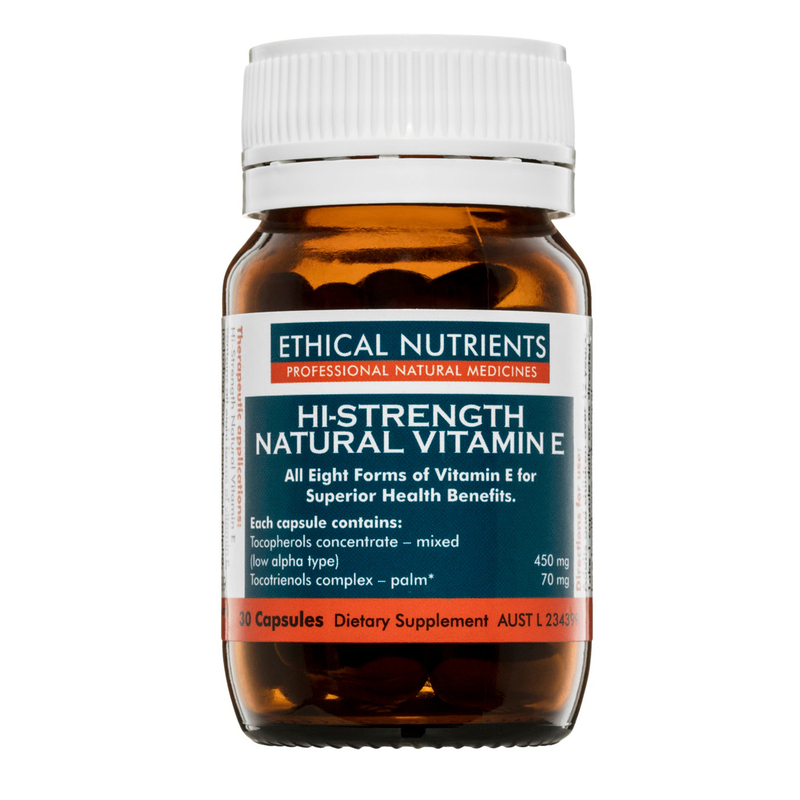 Ethical Nutrients Hi-Strength Q10 Absorb 100mg contains CoQ10 with VESIsorb®, an exclusive colloidal delivery system for enhanced absorption.